Today we're delighted to officially announce the launch of the eCommerce Show North, the biggest ever gathering of eCommerce companies, vendors and suppliers to be held outside London. The two-day expo will take place at Event City in Manchester on October 11th and 12th 2017. 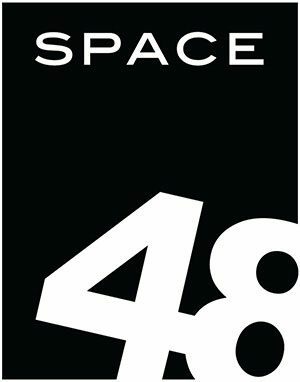 We're very pleased to confirm that, with over a year to go before the event, UKFast has already agreed to be the event's headline sponsor, with Endless Gain, Space48 and Digitl also signed up as Event Partners. Delivered by Prolific North and Don’t Panic Event Management, the eCommerce Show North will have capacity for around 120 exhibiting businesses and up to 5,000 attendees. 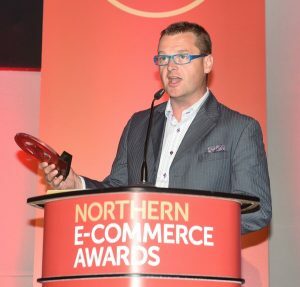 Martyn Collins, director of eCommerce Show North, said: "The north is home to some of the finest eCommerce talent in the country and it is only right that we recognise and reward those individuals, businesses and brands that are contributing so much to the economy of the north. "And that’s the point about eCommerce - it’s about money, about bringing new money into the local economy, creating jobs and increasing prosperity. For me, eCommerce is the fuel that drives the Northern Powerhouse." He added: "Prolific North is delighted to welcome UKFast as lead sponsor for eCommerce Show North and Endless Gain, Space48 and Digitl as Event Partners. We are also in talks with major platform providers and international technology businesses who are keen to support the eCommerce sector in the north. "eCommerce Show North will become the key annual event for our sector to come together, celebrate success, learn new things and highlight to the world the strength of eCommerce expertise in the north." Lawrence Jones, CEO of headline sponsors UKFast, said: “It’s incredibly exciting for us to be involved with eCommerce Show North at the start of their journey. “A decade ago there was a perceived gap in digital capability between north and south, whether that was correct or not. Manchester and the North has proven itself as a hub for eCommerce excellence, with brands like Missguided, Late Rooms, BooHoo, AO.com, jet2.com and of course UKFast. We are also in active discussions with leading industry platforms and planning major pavilions anchored on specific business areas such as logistics and cyber security. Stands at eCommerce Show North start from just £1,460 +VAT for those booking early. Stand sizes range from 2m x 2m all the way up to 10m x 6m, and all costs include a shell scheme stand, a name board, a 13 amp fuse and lighting. We can also accommodate prebuilt stands. For businesses looking to book early we offer a ‘first come, first served’ policy on specific stands in the exhibition, so exhibitors can choose their space in the room. We have made sure that our pricing structure is very competitive and there are iscounts to reward those who book early. A 25% deposit secures your stand, followed by stage payments with a final payment required 10 weeks ahead of the event.